That’s the word out of Florida this afternoon according to ESPN. Faced with the prospect of Piniero, Tavarez, Donnelly or any of the other cast of thousands closing, the Red Sox have decided to go with what worked in the past, even if it costs them over the long term. No, the number one admonishment to all those who play the stock market—past performance is not necessarily indicative of future results—is being ignored. It’s not that Jose thinks Papelbon will be bad in the bullpen. Quite to the contrary, Jose expects that he’ll be excellent. He’s got two great pitches and a middling third, that’s closer stuff. It’s just that Jose believes, in his heart of hearts, that Papelbon would be a terrific starter by the middle of this year and forever thereafter, that the prospect of facing Euro, Beckett, Mr. Matsu and Papelbon, would wear down any team, and that a closer, by trade or from inside, would have emerged with time. But are we sure returning Papelbon to the closer spot will work? Are we really? What if a pitcher is like a woman (note: or a man Jose supposes)? What if? What if? What if? A woman can be a closer. Nothing wrong with that, no moral judgments here. She can be the person for those tense situations, when one just needs a high intensity expenditure of energy to close out an evening. And she may be really good at it. She may excel. Hell, she may be so good, have so much promise, that you try to convert her to a starter But what happens then? What if, rather than just asking her to close out your nights, you ask her to start out your mornings and make it deep into the day? Maybe it will work out maybe it won’t. Maybe she get’s bombed early in the day? You don’t know. But if it doesn’t work do you think you can ask her to go back to closing and everything will be the same as it was? Can you rely on her to still bring the heat at the end of the night, get the job done expeditiously and then shake hands and walk off the mound? Maybe it can be done, but Jose hasn’t seen it happen too often. Of course, past performance is not necessarily indicative of future results. Q: What does Jason Varitek have in common with Christopher Cross? A: Neither of them have had a hit lately. Q: How many Red Sox relievers does it take to screw in a light bulb? A: It doesn’t matter they can’t even close a circuit. Q: How many fifth starters does it take to screw in a light bulb? A: Let’s see Snyder, Lester, Hansack, Gabbard, Tavarez… five. Five! They each take a turn in the rotation. Q: Why did Manny Ramirez throw a clock out the window. A: Just Manny being Manny. Q: Why did Grady Little throw a clock out the window? A: Because he was incredibly bleeping stupid. Q: What has wings but can’t fly. Q: If a tree fell in the forest would Curt Euro make a sound? Q: He who has it doesn't tell it. He who takes it doesn't know it. He who knows it doesn't want it. What is it? A: The next Ken Ryan. 3. OK. Fine let’s talk about the grill. Everyone else is. So what if Manny Ramirez was selling a grill on E-Bay. Big deal. Everyone acts like it’s such a story that the legendary enigma Manny Ramirez would try to sell a cooking appliance. “Does he really need the money?” some asked. “Isn’t it kind of pathetic?” others queried. Does he claim that the grill needs a new home every year and then he leaves it exactly where it is?” inquired still more pundits. But why are we acting like it’s so weird. Would it be weird if he bought stock in Texaco, invested in a mutual fund, purchased real estate or secured no-bid military contracts? No, it would be a normal, sane investment for a wealthy man. And so is selling grills. You remember; we all laughed when George Foreman started selling grills, and you know what happened with that. That’s right, he went insane and named all of his kids George. But he also made a ton of money. So why shouldn’t Manny sell grills. He’s already crazy, so what does he have to lose? It’s time for Jose Melendez’s KEYS TO THE TO SPRING TRAINING. 1. 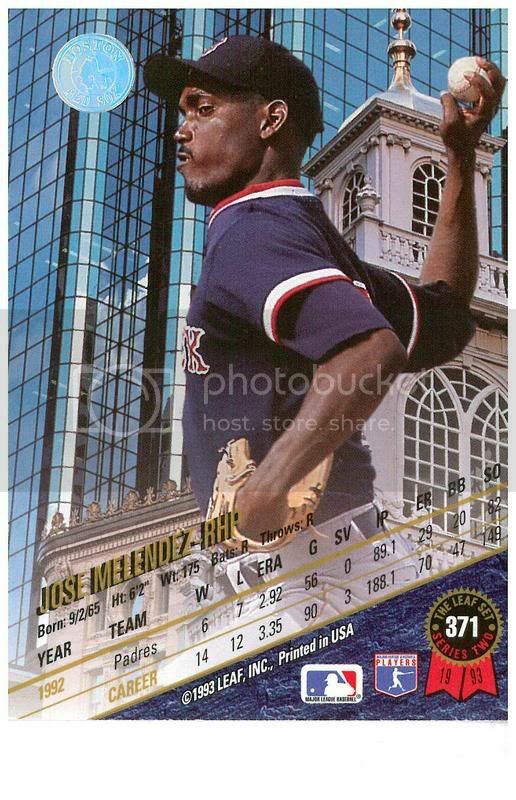 They don’t come around too often any more, but Jose always loved going to single admission doubleheaders. As nice as drinking beers at the ballpark is while taking in a game, doing it while taking in two games is literally twice as nice. Actually, it’s 2.3 times as nice, economies of scale, you know. As anyone with even a rudimentary knowledge of economics knows, it is not a given that two, is twice as good as one. One could very reasonably expect the marginal utility of each inning to diminish as one creeps into the second game. But it doesn’t, and you know why? No intermissions. This is the genius of baseball. Other sports have lengthy breaks, but not baseball. Sure there’s the seventh inning stretch, but that’s barely more than a regular inning change, unless of course, it is a playoff game at Yankee Stadium, in which case, it is slightly longer than a Peking Opera, and only 20 percent as interesting. The law of diminishing marginal returns became painfully clear to Jose as he went to an “Iced Hockey” double header at the Boston Garden on Friday. (Note: It’s like Iced Tea, right?) While Hockey is a great live sport and Jose was excited by the prospect of watching his state university take on UNH, and his alma mater BU take on BC, he lived in dread. Sure, six periods of hockey (note: Which period is the Jurassic? The second right?) is a lot, but what really scared Jose was the five intermissions. Five! That’s an hour and forty minutes of intermission, and more if one remembers that the intermission between games is 45 minutes. It got worse. The first game went to double overtime. Sure it was “exciting” and “dramatic” but the intermissions, dear God the intermissions. To make matters worse, the game ended two minutes into the second overtime, so a twenty minute intermission was followed by 2 minutes of action and then another 45 minutes of intermission. That’s almost as much down time as in a Nomar Garciaparra at bat! So based on this, experience Jose has created a sport hierarchy based on the number and duration of intermissions. Hockey is at the bottom because it has two intermissions. Then comes basketball because it has one. Above that is football, because it also has one intermission, but it has way better highlights than basketball. Next is soccer, which also has one intermission but doesn’t have commercials during the game. And then on top is baseball with its no intermissions, save for occasional moments to scratch, spit and go into the Green Monster to urinate. Actually, check that. Wrestling is above baseball, because it has no breaks at all, unless you count “rest holds” like the sleeper hold and reverse chinlocks. NASCAR would be at the top, because it has no intermissions at all, but then Jose remembered it’s just people driving in circles, so it’s actually nothing but intermission. 2. As part of an effort to maintain better control of their intellectual property, the Red Sox have announced new policies governing the use of Red Sox highlights from NESN, including demands that NESN receive credit on all Red Sox clips. Sued He-Man/Masters of the Universe for misappropriating John W. Henry’s likeness for Skeletor. Sued Kellogs for misuse of “Coco Crisp” brand name. Filed restraining order against Armando Benitez, claiming “save blowing gopher ball” is the intellectual property of Julian Tavarez. Filed suit against J.J. Abrams and ABC, stating that the Red Sox had already copyrighted “Lost” as the name of a series about Joe Kerrigan’s managerial reign. Filed gag order against Kevin Millar. Someone had to do it. Issued statement saying anyone calling Grady Little a “Forrest Gump looking douchebag” is using Red Sox trademarked material and must pay $50 in royalties. 3. The Texas Rangers have ended their relationship with Ameriquest Mortgage Company, changing the name of their ballpark from Ameriquest Field to Rangers Ballpark in Arlington three years into a 30 year deal. The outcome of Massachusetts Governor Deval Patrick’s call to the Rangers pleading with them to keep the Ameriquest name remains unknown. I’m Jose Melendez and those are my KEYS TO SPRING TRAINING.